Diners of quick service restaurants (QSRs) and fast-casual restaurants want to have deeper, more unique relationships with brands in a highly competitive space. As marketers, we need to leverage data to identify the best diners and engage them with relevant messaging at the right time, in the right place and through the right media to sustain their loyalty and increase their visits. Know the customer: In a study Epsilon conducted in partnership with Econsultancy, we learned that only 12% of brands have a single view of their customer, necessary for brands to engage with their audience consistently. To obtain this single view, restaurant marketers need to first give customers a reason to identify themselves so that data can be captured, then leverage data insights to determine what customer experience their diners are looking for in loyalty programs. Once you can identify customers, you can begin to analyze the data and get a holistic view of your diners to increase frequency and spend by targeting your messaging. Increase visit frequency: Marketers need to obtain a 360-degree view of their diners and to do so, they need to make sure all channels are ‘turned on’ and ‘turned up.’ Diners behave differently across channels and marketers need to glean these insights to fully understand how they can increase the frequency of their diners. By knowing what menu items a member prefers, marketers can target offers that stimulate future visits based on what they like and crave. Agility Audience powers marketers with this insight to know what diners crave and what they need along with their next action. These insights help marketers determine what the ingredients are for the best loyalty program recipe. A new channel for fast-casual restaurants that helps in tracking frequency is the use of tablet point-of-sale systems at the dining tables. These tablets help to provide an enjoyable dining experience as it’s convenient, allows for them to pay their bill on their time, provides menu items the diner might like based on the current selections he/she has indicated, includes entertainment options (games) for the whole family to play, and more! Fast-casual restaurants need to leverage this channel and collect and use this data. But remember, you need to collect contact information on these devices. Build your pipeline: Use your loyalty insights for acquisition of new customers. Best guests started out as new guests, . 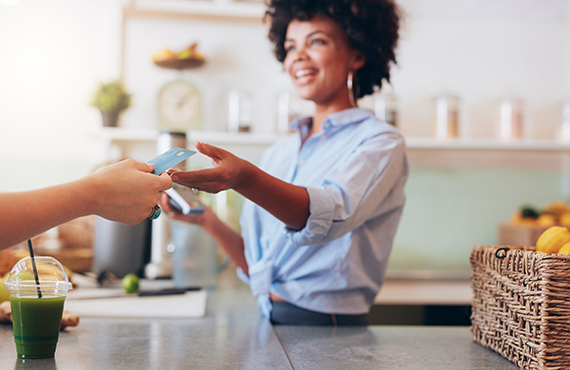 Your loyalty program is a critical feeder file to digital, email and SMS acquisition programs that not just target new guests, but rather, new high potential loyalty program members and diners. The insights gleaned from their startup engagement dynamics, interests, device usage and most importantly, dining behavior are critical for cost effective go-forward acquisition programs. Understand use: Knowing and understanding how your diners use your loyalty program is essential. It’s more than just simply joining. How are they interacting with your brand through the program? Are they redeeming their rewards? From research, we’ve learned that $16 billion+ in reward points go unclaimed by consumers each year. Remember, your loyalty program is more than just rewards. The enhancements around your customer experience that you incorporate into your program will increase overall engagement. Evaluate your customer service. And ask yourself, “Are you consistent with your offerings through offline and online channels?” Additionally, think about how personalization comes into play no matter the channel.